BEIJING, CHINA--(Marketwired - Apr 13, 2017) - Baidu, Inc. ( NASDAQ : BIDU), the leading Chinese language Internet search provider, today announced the acquisition of xPerception, a U.S. technology company that provides visual perception software and hardware solutions for a range of applications, including robotics, virtual reality (VR), and devices for people who are visually impaired. The acquisition further strengthens the use of Baidu's visual perception technology in key projects like augmented reality (AR) and autonomous driving, accelerating the development of artificial intelligence-based products. xPerception is a technology start-up with world-class talent from both China and the United States. The co-founders of the company, Dr. Bao Yingze and Dr. Chen Mingyu, were early key engineers at AR start-up Magic Leap. Following the acquisition, the core xPerception team will join Baidu Research and continue developing xPerception's core technology, visual inertial simultaneous localization and mapping (SLAM). Accurate and robust SLAM is one of the fundamental technologies in visual perception. It plays a critical role in applications such as 3D vision, AR/VR, robotics like drones and autonomous driving. 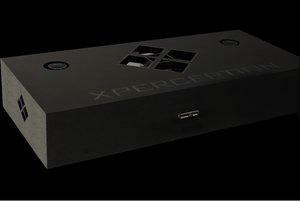 Empowered by its core technologies, xPerception developed a 3D visual inertial camera with software SDK running on x86 or x64, ARM or other mobile platforms. The SDK features 6 degrees of freedom pose tracking, low-latency sensor fusion, as well as 3D obstacle detection and object recognition. It enables intelligent hardware to "see" the world, allowing self-localization, 3D structure reconstruction, and path planning in new environments. xPerception's software and hardware solutions are currently being deployed in many projects of its customers in China and the United States, including public companies and VR industry leaders. The acquisition of xPerception is the latest in a recent series of notable investments aimed at strengthening Baidu's position as a global leader in AI. AI has permeated many of Baidu's products, and the company has been attracting leading AI talent through its research facilities in Silicon Valley, Beijing, Shanghai, and Shenzhen.